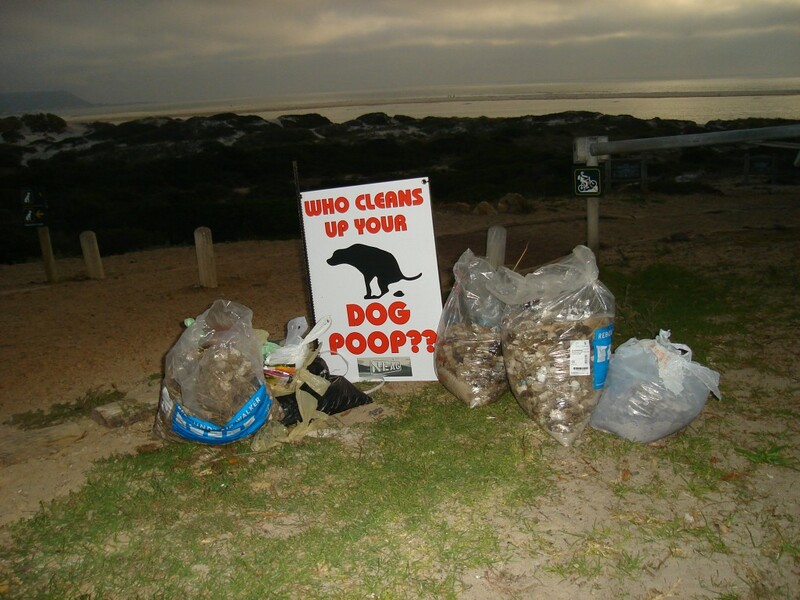 In response to a much debated topic on social media in the Noordhoek Community, NEAG is proposing that this becomes a regular monthly event, mainly focusing on the removal of the Poo””llution on the access paths to the beach. We wish to use this opportunity to educate the public to be responsible for their pooches business. Dog walkers have fewer beaches and public areas to enjoy with their dogs and if they do not respect the rules, they too could be banned from Noordhoek beach . NEAG will entertain any ideas to achieve our objective.